Otakon 2018 took place from August 9th - August 12th at the Walter E Washington Convention Center. Young and I were on hand to experience all the anime goodness. 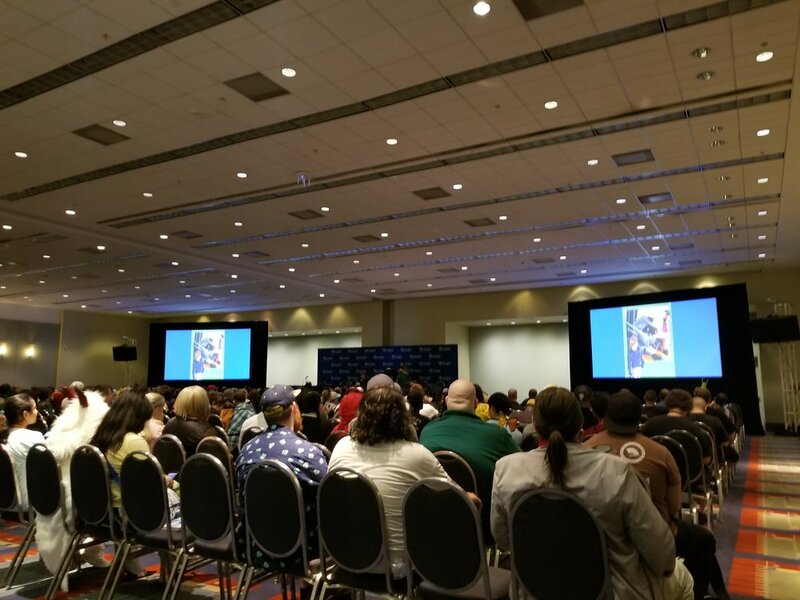 As many conventions, Otakon was stack with guest, panels, and activities for the 29,000 plus crowd. This was our first time attending Otakon in their new location in Washington DC. I was truly amazed at the size and scope of the convention center. The convention was much bigger than the Baltimore Convention Center which made the space much more open and less cramped. Panels: I attended a couple of interesting panels this year. Most of the panels I attended were showing love to the 80s and 90s era of anime. No Gundam series has had more impact on the U.S. market than the fan favorite, Gundam Wing. Join NoS Anime as they take a look back at this anime phenomenon to celebrate its blu-ray release in America. Reminisce about its best and worst features and discover how it holds up 23 years later. (Presenter: NoS Anime). This was a really good panel from NoS Anime. The panel went into full detail into the world of Gundam Wing. The panel explains in detail the character breakdown of the Moblie Suit Pilots and went into great detail on Relena. I actually like the analysis NoS Anime made on Relena on how she progresses as a character. Aniplex Panel: Aniplex made some big announcements you can read the offical press release below. 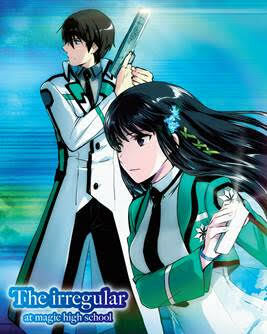 Aniplex of America announced at their industry panel at Otakon (Washington, D.C.) that all 26 episodes of the TV series The irregular at magic high school will be available as a complete Blu-ray box set for the first time later this year. Fans will join infamous siblings, Tatsuya and Miyuki Shiba, in their first year at National Magic University First Affiliate High School including the “Enrollment” arc, the “Nine Schools Competition” arc, and the “Yokohama Disturbance” arc. The complete box set comes in a beautifully illustrated box by the character designer of the light novel, manga, and anime for the series, Kana Ishida, and contains seven Blu-ray discs with textless openings and endings, trailers, commercials, and seven delightfully charming “Get to Know Magic Studies” short videos. The irregular at magic high schoolComplete Blu-ray Box Set will be available on October 16, 2018 and currently accepting pre-orders. Aniplex of America announced during their Industry panel at Otakon in Washington, D.C. that the enormously popular series FullMetal ALCHEMIST: BROTHERHOOD will be making its triumphant return as two Blu-ray box sets. The box sets will be released as two sets scheduled for release later this year. Each set includes 7 Blu-ray discs packaged within a rigid box illustrated by creator, Hiromu Arakawa. The box sets will also include a booklet, four total special OVA episodes, a 4- panel comic theater as well as textless openings and endings from all five seasons. Both box sets are scheduled for release on November 20th; however, fans can pre-order both sets now at RightStufAnime.com. Aniplex of America also revealed that they will be hosting a FULLMETAL ALCHEMIST: BROTHERHOOD event at Anime NYC later this year to celebrate the first anime series’ 15th anniversary release along with special guests and giveaways. Since its premiere in 2009, FULLMETAL ALCHEMIST: BROTHERHOOD chronicles all 27 volumes of the original manga and was ranked in Los Angeles Times’ animation historian and critic Charles Solomon’s top ten anime of 2010. Based on the bestselling manga series by Hiromu Arakawa (Silver Spoon, Heroic Legend of Arslan), FULLMETAL ALCHEMIST: BROTHERHOOD continues to be an enduring fan favorite within the industry with a lasting legacy that has excited both fans and critics alike. Directed by renowned director Yasuhiro Irie (Code: Breaker, Kurau: Phantom Memory) with animation production by studio BONES (Cowboy Bebop, Darker Than Black), the series features character design by Hiroki Kanno (Bungo Stray Dogs 2, Yu Yu Hakusho The Movie: Poltergeist Report) and music by Akira Senju (Valvrave the Liberator, Mobile Suit Victory Gundam). The series hails a stellar Japanese and English voice cast led by Romi Park (KILL la KILL, Attack on Titan) as the main protagonist Edward Alric in the Japanese version and Vic Mignogna (Durarara! !x2, Dragonball Z) in the English version. The Sunrise Panel was really my favorite panel with plenty of exclusive announcement made at the show. The first one that had me and other old school anime fans cheering was the announcement of City Hunter. 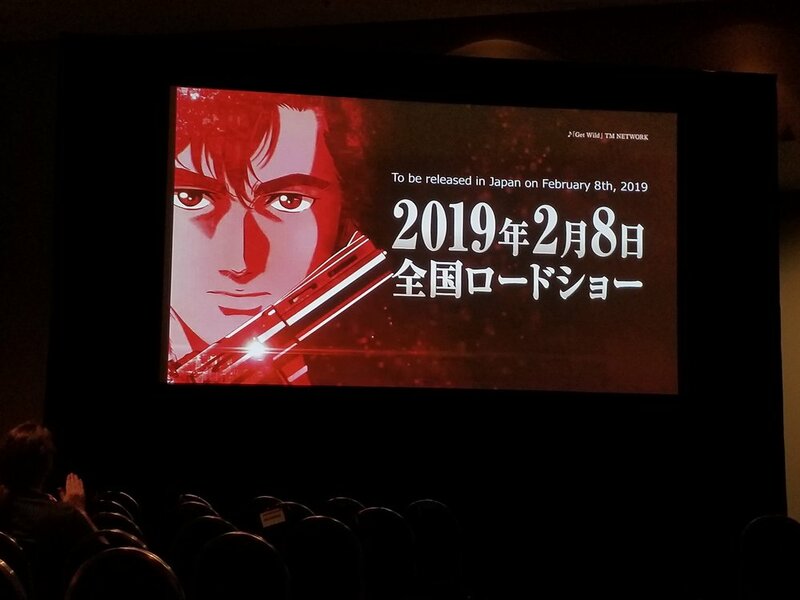 That's right old school anime fans City Hunter is returning in a brand new movie on February 8th 2019. The return of City Hunter is a great one but there were other announcements as well. The anime Code Geass Lelouch trilogy will be released. There is also a new show Double Decker on the way. The panel also went into great detail into the World of Gundam. 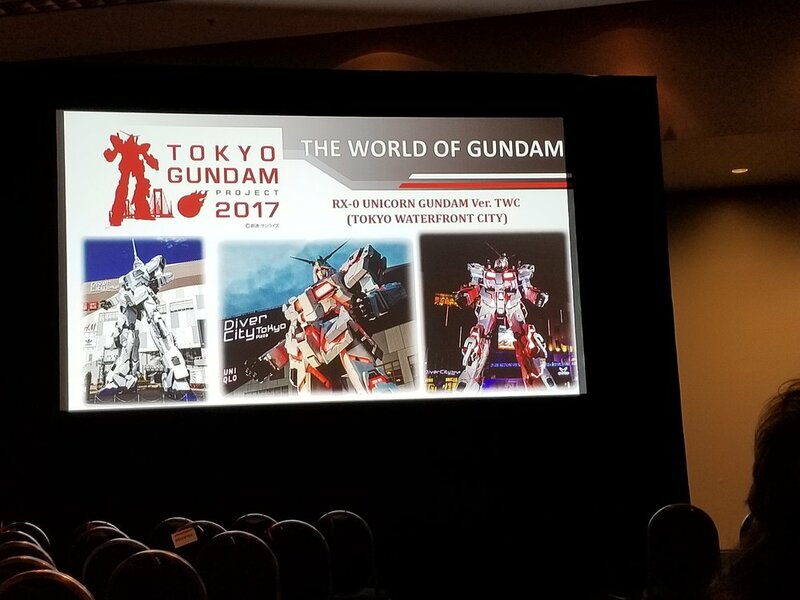 New models coming were show and a look into the Gundam Store based in Tokyo, With so many announcements and prizes given at the end of the panel. It was clear Sunrise came official prepare to give their fans what they wanted. The Patlabor was similar to the Gundam Wing Panel but I found it better executed. This panel was mainly for people who never heard of Patlabor. As a fan of the old school series, I was very pleased with the presentation. Gunpla 101 went into great details on the studio, animators and a full character breakdown and moments from the show. I must say the energy from the panelist really turned those who didn't know about the show search for it in the dealers room. Cosplay: Otakon has some really good Cosplay while you check out Young's brilliant collection later on. Here are some of the cosplayers that I encountered. The gaming room is probably where I spent most of my time. The gaming room was a little convention in itself. It had indie developers showcasing their games. There was tournaments for fighting games and card games. Finally, there were retro games to go around. One of my highlights was entering the Gundam Pod. This Gundam simulator was amazing, you had two controls for both arms and use the pedals to move the Gundam. You can see me inside the Gundam and other clips from the game room below.